The latest jobs report from the Bureau of Labor Statistics was positive for all construction-related sectors on both a monthly and yearly basis. The national construction industry as a whole saw a 3.7-percent increase in employment from February 2017 and 0.9 percent from January 2018. According to the Associated Builders and Contractors, February was the best month for employment gains in the industry since March 2007. 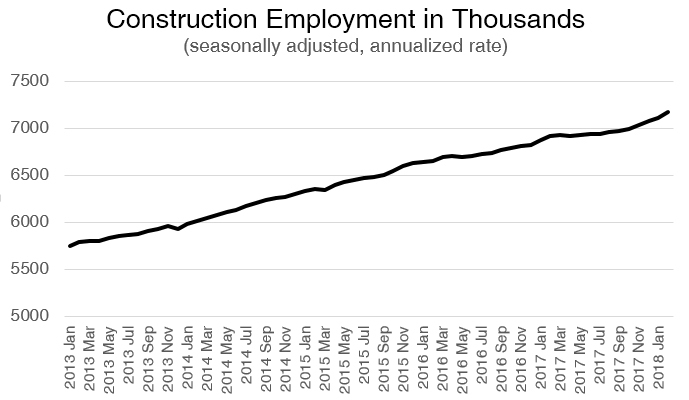 The Associated General Contractors of America noted that the 7,173,000 construction jobs total is the largest since June 2008. Average hourly earnings in construction stand at $29.27, up nearly a full dollar from the same time last year. The unemployment rate in the industry is 7.8 percent, down from 8.8 percent a year ago. 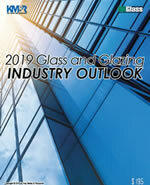 In the latest employment report, the nonresidential specialty trade contractors and nonresidential building categories—which include glaziers, iron workers and building exterior contractors—saw job increases. Nonresidential specialty trade contractors increased employment by 4.1 percent from February 2017 to February 2018, with a 0.7-percent uptick from January 2017 to the next month. Nonresidential building added jobs at a 3.3-percent clip for the year and at a rate of 1.1 percent for the month. 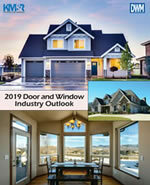 Both residential specialty trade contractors and residential building contractors, including those who install doors and windows, also added jobs. The residential specialty trades saw a 4.1-percent employment increase year-over-year and a 0.9-percent bump from the previous month. The residential building category added jobs at rates of 3.8 percent and 0.9 yearly and monthly, respectively.